Traveling with friends is always fun! 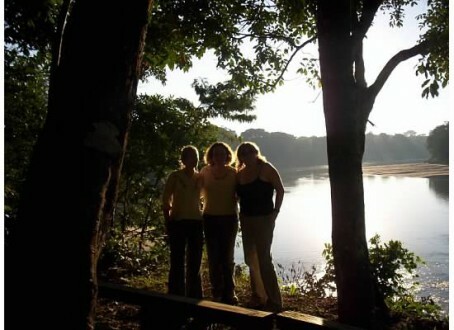 Sunset in the Amazon. With more than 20 years experience working in the travel industry, I often get asked what advice I would give to someone who is traveling. It’s a very general question and something that is difficult to narrow down. What I enjoy is probably very different to what you enjoy and that’s what makes traveling so exciting. It’s a unique experience tailored to exactly what you want to make of it and nobody else will be able to repeat your personal experiences. 1. Laugh. At yourself, at situations around you. It’s a good philosophy for life, anyway, but particularly applies to travel! Buses in Greece don’t always run on time. Plumbing in Cambodia isn’t always reliable. Make it part of the experience, take stock of where you are, and just LAUGH! 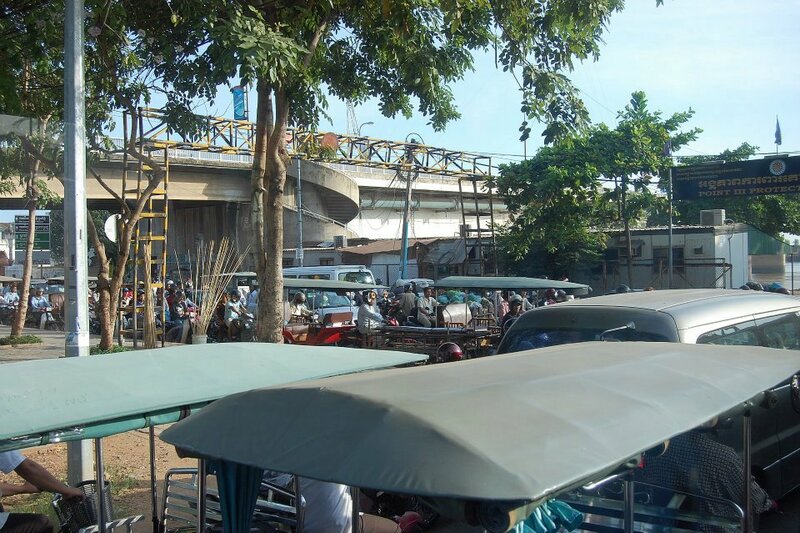 Standard Phnom Penh traffic – the main reason one should never rely too heavily on bus schedules! 2. Don’t try and blend in. I’m a pale skinned, blue-eyed, freckled red-head. I blend in NOWHERE, other than the UK! There’s no hope for me to ever look like anything other than a tourist; and I’m okay with that! If I was self-conscious about it, I would be uncomfortable wherever I went. I’m not saying wear long socks with sandals, a visor and a camera slung around your neck – there does need to be a degree of security involved (see # 3) – but if you can’t hide the fact that you’re a long way from home, just exude confidence and you’ll end up fitting in anyway. I was told in Phnom Penh by a local that I was “white like a t-shirt”…after almost 2 weeks under a blazing sun! I told her I knew, and that was never going to change and we chuckled about it together! Refer to #1! 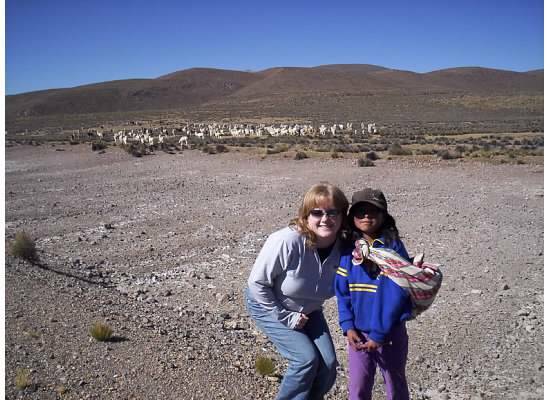 Getting to know the locals in the Colca Canyon, Peru. 3. Don’t forget basic security practices. Sounds easy, doesn’t it, but it’s amazing how many people forget to pack their common sense along with their toothbrush and passport. If you wouldn’t walk down a dark alleyway at night in your hometown, don’t do it in Paris. Going back to #2, there are going to be times when you look like a tourist and unfortunately, that makes you a target to some people, no matter where you are. First rule is to never wear a backpack or daypack on your back. If you MUST, wear it on your front. It’s uncomfortable and not overly fashion conscious, but backpack straps are easy to slice. I personally prefer a long-handled purse that I can sling over one shoulder and keep one hand on at all times. It’s much more subtle but very secure. Keep valuables out of sight and avoid wearing excessive jewelry. If you need to read a map, don’t stand in the middle of the street with it folded out in all its enormous glory. Find a seat, unfold the little area of the map you need and get your bearings that way. Chances are the nearest seat is in a street-front café so that’s also a great excuse for a cold beverage! Again, you may not blend in, but there’s no need to put up neon signs announcing your presence, either. 4. Buy insurance. This is something I cannot stress enough. It’s not a waste of money. It’s probably the most important purchase you’ll make before your trip. Figure out exactly what percentage of your total trip cost the insurance works out to. You’ll be surprised how small an aspect it really is and yet it is as essential as anything you’ll pack in your suitcase. Don’t think you’ll need it? When was the last time you actually ANTICIPATED getting sick? I always compare it to an umbrella. If you take an umbrella with you, it never rains. Nobody should be leaving their province, state, country without insurance. 5. Try the food! I’m a bit of a foodie so trying the local dishes wherever I am is an essential part of my enjoyment. I’ve traveled with people who are fussy about their food and I always encourage them to at least TRY something. I’ll admit, I did draw the line at deep-fried tarantula, but I’ve eaten piranha and crocodile. I’ll always eat at local restaurants, not just for the food (which you might not always like, but remember #1!) but for the local experience. Most cultures are incredibly proud of their cuisine and it’s a great ice-breaker to help you get to know locals. If you’re in an area that offers it, try a cooking school! You can usually have a 3 or 4 hour experience that will include shopping for the fresh ingredients and cooking your own meal from scratch with a trained chef. You’ll be able to wow your friends on your return with an authentic ethnic dinner! 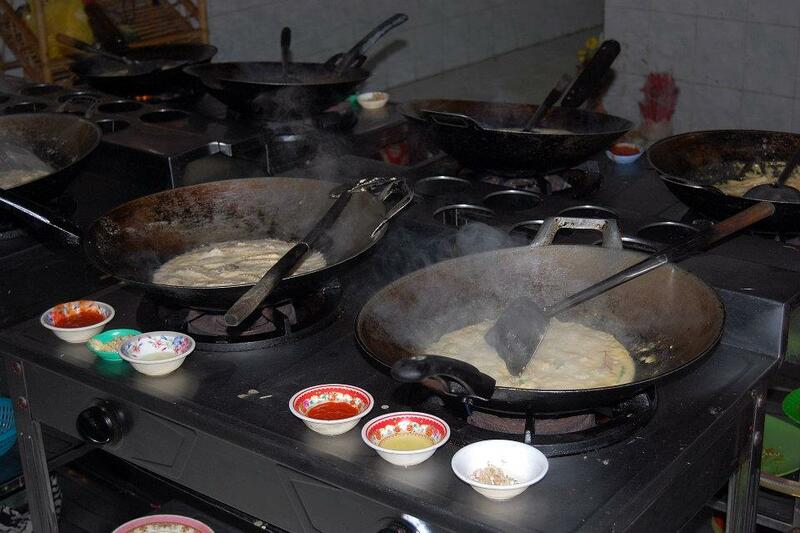 My attempts at cooking fish amok in Cambodia – didn’t turn out too badly, if I say so myself! 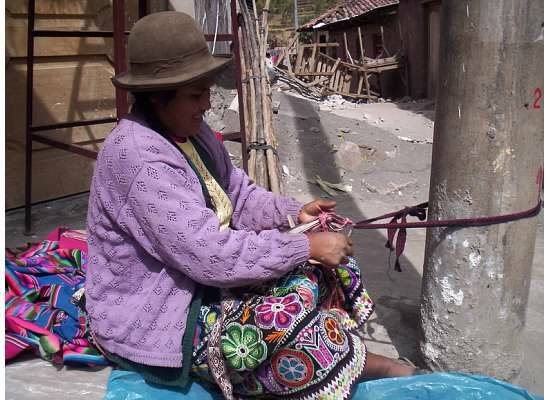 A hard-working weaver in the Pisac market, Peru. I firmly believe that traveling is the best form of education. One of my favorite travel quotes is this: “Travel is the only thing you buy that makes you richer.” Whether it’s around the world or around the corner any new destination can open your eyes to things you never thought possible. Some of my best memories are from my travels, near and far, and hopefully these few pointers will help make your next adventure an experience you’ll never forget.